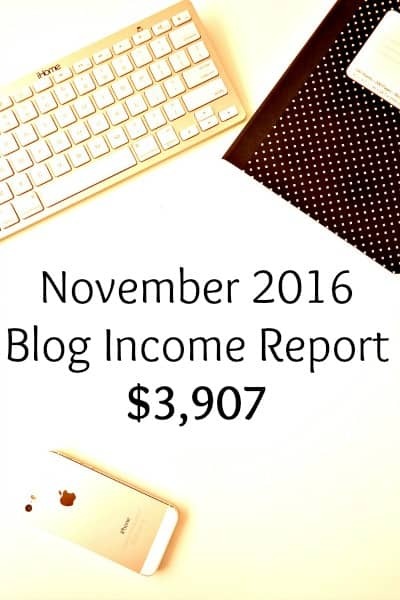 I finally put together my blog income report for last month, November 2016. I have to say that I am very pleased! I was able to double my income from the month before! The grand total for last month was: $3,907. Why am I sharing my income with you? Because I want you to see how you can make a living doing something that you have a passion about. I love what I do. I love that I am able to stay home with my daughter and do fun things with her during the day and work at night. I have learned a lot since I started blogging and I want to be able to share that knowledge with you if this is something that you are interested in. Learn from my mistakes!